While reviewing their return on investment (ROI), many property owners think raising rents will improve the bottom line for the upcoming year. It is important to review income and expense figures on a regular basis and stay in tune with the housing market. However, as your property management company, we know there are many things to consider when contemplating a rent increase. First, remember that a tenant is not the only one bound to the lease – so is the landlord/property owner. Therefore, the first thing we check is the current rental agreement to see if we can legally issue a notice to increase the rent. It may be that the current lease still has months before expiration; therefore, more time is necessary before taking this action. Then you must take into consideration the current housing market. Elevating the rent, when the market is difficult, can promote an unnecessary vacancy. 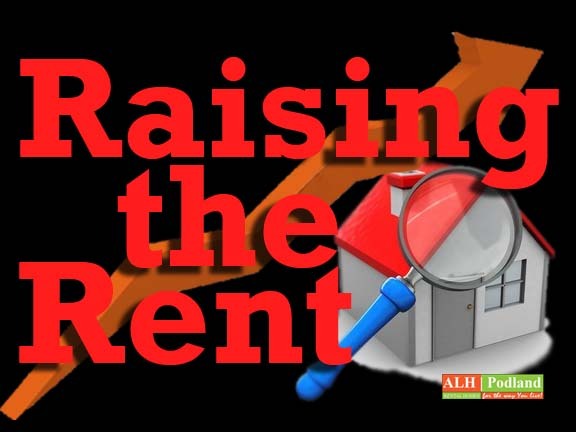 Bear in mind it takes 4-5 times the possible gain from a rent increase to re-rent the property, and this immediately negates the financial benefits, reduces the overall ROI on a property and requires immediate cash-out-of-pocket. Do you have a good tenant that you wish to keep? Is the increase worth risking the loss of this tenant? How long has the tenant been in the property? Has there even been a rent increase, and if so, when? These are important questions to consider and we do not ignore them. You also need to consider what incentives the tenant has or has not received during their tenancy that would entice them to remain in the property if served with a rent increase. If we have a really good tenant that we value, we increase the rents about every two years. The tenants really appreciate our understanding of their financial situation and our approach to raising the rents. Perhaps the rental market and the tenant will absorb more rent. If so, we try whenever possible to consider the timing for delivering a notice. We try to avoid notices during the holidays, or 30 days thereafter. People often spend too much, are emotionally volatile, have increased energy costs, or experience other problems during the winter months. Additionally, we also feel avoiding a notice when a difficult maintenance problem is in progress or remains unresolved are a sensible course of action. If there is a decision to raise the rent, the amount should be reasonable and in keeping with the rental market. No one is ever “happy” to receive a rent increase, but giving anyone a huge increase is definitely going to create bad feelings or a vacancy notice, no matter what circumstances are involved. Tenants may expect and in fact, accept increases, but will resist an unreasonable amount. Caution – there are cases when losing a poor tenant can prove to be a benefit and an owner feels issuing a huge rent increase is the answer. It is extremely important that the tenant cannot view any rent increase as “retaliation” to force them to move out of the property. This strategy is definitely not wise and can backfire. A lawsuit is definitely not worth the risk.